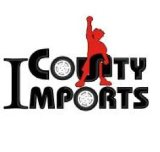 Countyimports.com now has it all! With a complete line-up complimented with the final blow to the public seeking the ultimate Ranch utility Vehicle. Introducing the BMS 600cc UTV of all time. The lines of this UTV are solid, operational rear hydraulic dump bed and an interior definitely different than any other UTV out there. The full coverage top that is removable makes this UTV more like a Jeep. The well known engine of the Honda Rancher OEM clone tops off the powerset and anyone who has owned this type of engine knows this is just about the best aspirated engine that is made for dependability. Have any questions? Give us a call anytime we would be happy to brag to you about our very aggressively priced and powerful UTV. This UTV has a very driven powertrain and ultra smooth ride throughout the gearset. Make this your UTV and have everyone asking you how you could afford the same machine they paid twice as much as you for. The smile will be yours. CMS 1000 UTV OF THE YEAR! BMS MOTORSPORTS will supply, or install in house, new or rebuilt replacement parts in exchange for defective parts, as well as perform in house repairs on defective engines for a period of 1(one) year from the date of purchase at no charge. After 1(one) year, all repair cost are the responsibility of the owner. BMS MOTORSPORTS will supply, or install in house, new or rebuilt replacement parts in exchange for defective parts for a period of 6(six) months, as well as perform in house repairs on defective engines for a period of 1(one) year from the date of purchase at no charge. All Parts warranty issues must be processed through the dealer where your product was purchased. If you can not reach your dealer, you must produce a copy of your original invoice showing our model number, vehicle identification number and date of purchase on the invoice, as well as a copy of your Consumer Motor Vehicle Delivery Preparation and Inspection Form before we can warranty your product directly. 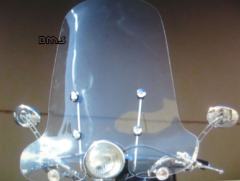 All defective parts must be returned to BMS for inspection and verification of defect. BMS reserves the right to decline any warranty claim based on the criteria listed in the COVERAGE AND LIMITATIONS portion of this warranty. All Engine warranty issues must be processed through the dealer where your product was purchased. If you can not reach your dealer, you must produce a copy of your original invoice showing our model number, vehicle identification number and date of purchase on the invoice, as well as a copy of your Consumer Motor Vehicle Delivery Preparation and Inspection Form before we can warranty your product directly. In ether case, after obtaining an RMA number from BMS, you will be provided with a return shipping label. The motor must be removed from the vehicle, safely packaged and shipped to our repair facility located at the address listed below. BMS reserves the right to decline any warranty claim based on the criteria listed in the COVERAGE AND LIMITATIONS portion of this warranty. We need to verify that your part is in fact defective. Many times we receive parts that are not defective at all. Items not covered by the warranty above may be covered under the initial set up of the vehicle if reported to BMS by the dealer as soon as the unit is uncrated. Please remember to inspect each unit, and to list all damages you see to the outside of the box on the bill of lading, as well as take photos of the damage. Drivers can be pushy, but to insure proper reimbursement and a prompt resolution, all damages must be reported to BMS, as well as the shipping company upon delivery. 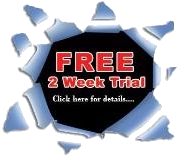 In most cases the driver has the ability to contact their office and request a claim number for you on the spot. BMS does not reimburse any labor cost. However BMS does provide free in house labor on defective motors and installation of defective parts that are still under their specified warranty period. If your product is still under warranty, you must contact our office to obtain an RMA number in order to return any part for exchange, or engine for repair. In most cases, BMS will cover the shipping charge to get the defective part back to our location in the City of Industry. We will pay return shipping to you unless it is determined your part was abused, misused or damaged in any way other than a manufacturers defect. Your dealer may handle the parts exchange for you at no expense, however the option to do so is that of the dealers and we have no control over our dealers in house parts exchange policies. 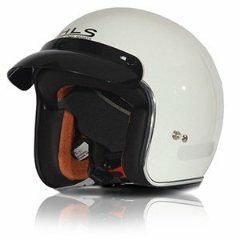 BMS will not guarantee any delivery schedule. BMS is not responsible for shipping delays, as we are at the will of the shipping company. BMS is not responsible for damages that may occur during shipping. BMS is not responsible for any extra cost incurred by the customer after the part has been shipped. BMS is not responsible for the costs of return shipping and these costs must be included with the initial part order if not under warranty. If shipping funds are not included, we will not ship the part. THERE ARE NO AGREEMENTS OR WARRANTIES, EXPRESSED OR IMPLIED INCLUDING WARRANTIES OF MERCHANTABILITY OR FITNESS FOR A PARTICULAR PURPOSE, OTHER THAN THOSE STATED IN THIS AGREEMENT. BMS SHALL NOT BE RESPONSIBLE FOR THE PAYMENT OF DAMAGES, OTHER THAN THE SUMS SPECIFIED IN THIS AGREEMENT AND LIMITED WARRANTY, FOR INCIDENTAL OR CONSEQUENTIAL LOSS OR DAMAGE ARISING FROM INJURY, LOSS OF USE, LOSS OF TIME, RENTAL VEHICLES, PROFITS, OR INCOME TO THE CUSTOMER AS A RESULT OF A FAILURE OF ANY COMPONENT OR PART. BMS reserves the right to inspect the defective part before replacing it. In some cases BMS will require the customer to send in the defective part for inspection before an exchange can be made. The inspection process could take from 2-4 business days after its arrival to the designated inspection office. BMS will decide if the part in question is defective or otherwise. It is the responsibility of the buyer, dealer and distributor and/or end user, and not BMS, to ascertain, and obey, all applicable local, state, federal and international laws in regard to the possession, and use, of any item purchased from BMS. All equipment is sold subject to public law and any local, state or federal ordinances or international law. Dealers and end users must consult their local, state & county laws before ordering or purchasing products made or distributed by BMS. 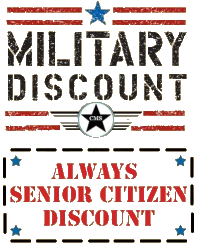 Dealer/Distributor agrees that absolutely no sales of any of our motorized products will be to minors. By placing an order, the buyer represents that the products ordered will be used in a lawful manner and that he/she is of legal age. BMS will not be held liable for the misuse of any product purchased from us or any of our distributors & dealers. Purchaser hereby certifies that He/She is over 18 years of age. Purchaser has carefully read the foregoing and acknowledges that purchaser understands and agrees to all of the above terms and conditions. Purchaser has had the opportunity to ask any and all questions regarding this agreement and the effect of the same. Purchaser is aware that by ordering and sending payments for any item(s), purchaser assumes all risks and waives and releases certain substantial rights that the purchaser may have or posses. Purchaser therefore releases all liability and waives any and all rights the purchaser may have in regards to purchases made of product directly or indirectly from BMS. Imported and distributed by BMS MOTORSPORTS, INC.